“Victory for the Catalan republic”. "Catalan Republic has beaten the monarchy." Catalan leader Carles Puigdemont's Junts per Catalunya party. Pro-independence parties have declared victory in Catalonia's regional elections, while the unionist Ciudadanos has become the largest single party in parliament. With almost all of the votes counted, the three leading separatist parties celebrated gaining a majority in parliament. "Article 155 is dead," said deposed Catalan leader Carles Puigdemont's Junts per Catalunya party. Speaking from Brussels, Puidgemont - who referred to himself as the president of Catalonia - declared that the Catalan Republic has "beaten the monarchy." He also warned that Europe should "take note" of the result, and that "any solution not taking the people into account won't work." 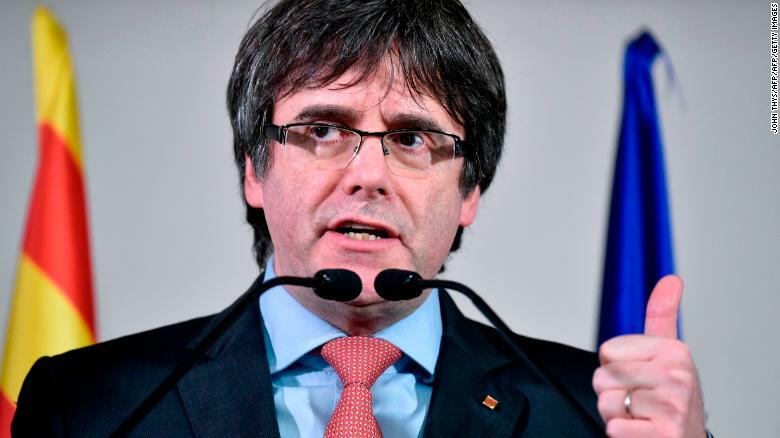 The separatist politician, who is living in self-imposed exile in Belgium, said he will hold a press conference on Friday (December 22) about the results. Marta Rovira of Esquerra Republicana de Catalunya (the Republican Left of Catalonia), said the "citizens have voted so the government in exile is able to come back." But the pro-independence parties weren't the only ones celebrating. Unionist Ciudadanos celebrated its victory as the largest single party in the parliament. "It is the first time we've ever won - 1.1 million Catalans have voted for us," the party's leader, Ines Arrimadas, told a jubilant crowd. "The majority of people in Catalonia feel Catalan, Spanish and European," she added. In less celebratory scenes, Partit Popular leader Xaview Garcia Albiol said Catalonia "is going to lose because of this result." The results came after a closely-watched regional election that pitted pro-independence parties against those who want Catalonia to remain a semi-autonomous region of Spain. The vote was called by Spanish Prime Minister Mariano Rajoy in late October, when Spain's central government took control of Catalonia and sacked its government. The move followed an independence referendum, which was deemed illegal by Madrid, and a subsequent unilateral declaration of independence. Turnout for the vote reached a record 81 percent, marking a major increase from the 74 percent recorded in the 2015 election.